The internet is so accessible that even kids can use it to check their favourite sites. 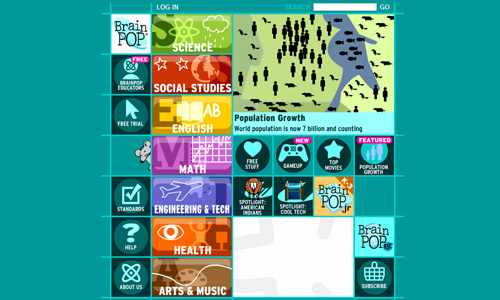 There are so many websites that could help children learn and develop their minds through various games and activities. For sure, parents would be happy to see their kids play and be educated using the internet. With their proper guidance, kids will certainly learn in the right way. 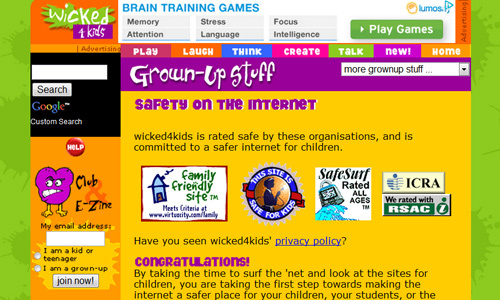 Web designers should be able to create good websites for kids in order for it to be effective. The success of a website lies on the hands of the designer. Hence, we will give you 15 tips to consider in designing websites for kids. 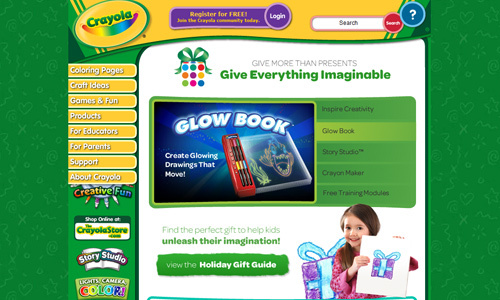 Most children’s website uses bright and lively colors to create a cheerful and dynamic aura. You don’t have to worry in using so much color for this is more effective for kids. You won’t get the kid’s attention if you use dull colors. Their senses are stimulated through colors which can also arise the interest of the kids. Kids are not really into much reading. So use lesser text and more images. Make your text brief and straight to the point. Avoid posting lengthy articles for it would be useless and it would look boring for them. Choose the right words, too. Make sure it can be understood by these kids. Children are more attracted to pictures and they can understand better with pictures. Your website should make use of attractive pictures to drive their attention towards it. You don’t have to make use of long texts for most of these kids won’t bother to read it. It would be easier to deliver a message using pictures. 4. Know the age group. In creating a website, it is always important to know your target audience. Hence, in making websites for kids, you have to determine your age group so that you can choose appropriate items and topics to include. 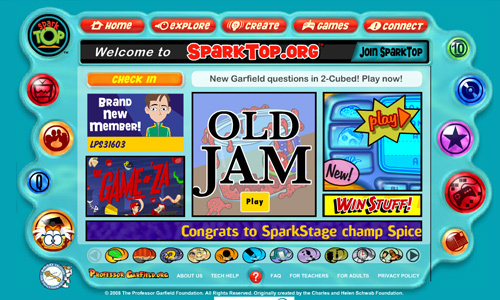 This will also allow you to determine the kind of games and activities to include in your site. You have to bear in mind that kids have different behaviours and interest depending on the age group. Characters or mascots are certainly effective for kids. Make them colorful and attractive. Use this in the entire website. Use characters in your games, too. 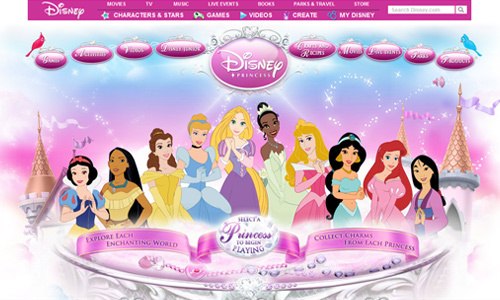 The kids would love your character and would keep coming back to your site just to see the character move, speak and dance. 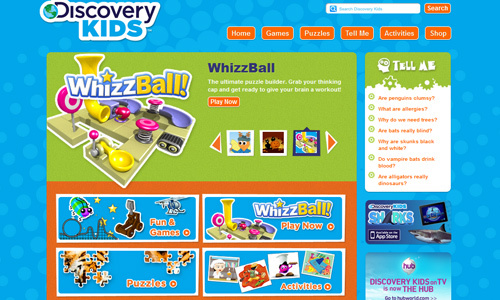 If you have mini-games in your website, the kids will keep coming back to your website to play their favourite games. Another good thing of having this is you are helping the children to develop their minds and learn something new merely by playing. 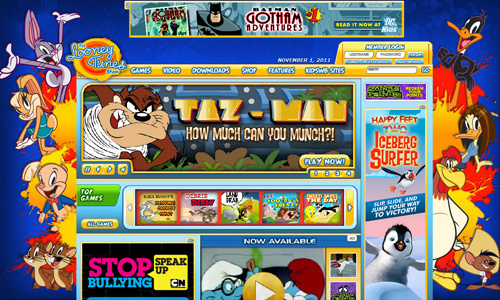 Games can also help drive traffic and retain traffic for your website. For sure, you will become one of their favourite sites if you have great games. 7. Have enjoyable learning activities. Aside from interactive games, you can also have some activities like coloring, puzzles and others. Try having some printable items that can be used by the kids in making paper dolls and paper toys. Let them download printables for coloring and for some crafts that they could do. 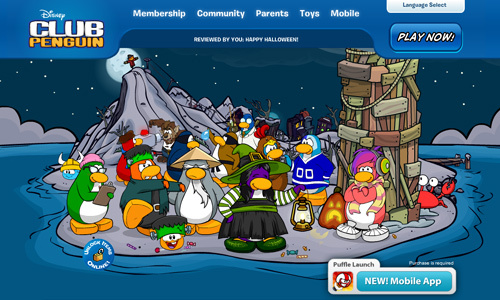 This will also let them visit your sit every now and then for new items they can download and use. 8. Animations for younger kids. Younger kids are from ages 3 to 5. They tend to love animations or anything that is moving. They also love characters that are huggable. 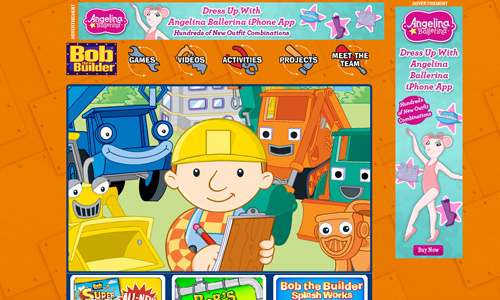 Use clean colors and cute graphics for a website for these kids. Make use of more images and less text. You can also incorporate videos if you could. You may also include printable for craft and coloring activities. 9. Include more challenging games for mid-range kids. Kids from ages 6 to 8 will get bored with coloring and crafts. They will no longer enjoy the games of younger kids and would brand it as too childish. Have more challenging games for them that would let then think on what to do. The more challenges they encounter during the game, the more they would love it. They will be even hooked more. But you should make sure that they are learning something while playing. 10. 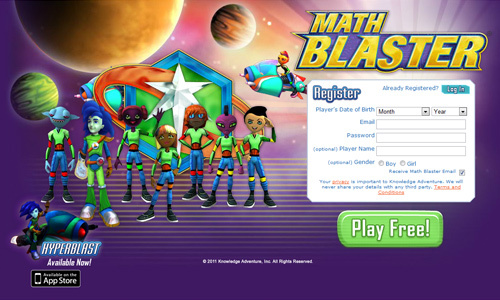 Have interactive games for older kids. These are children from age 9 to 12. They will no longer enjoy challenges and puzzles. They will be more inclined to games where their choices are followed and their guts are tested. They would love to customize their characters and compete with others. Interaction is more important with the game itself and to other players. But, also, you should not forget to incorporate some good values in it and some new things for them to learn. 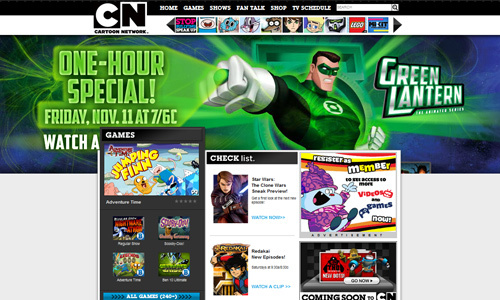 Remember that kids will be viewing your site. So, make use of simple and easy navigation that won’t confuse them. Everything should be simplified. Use large buttons instead of text-based links. Also do away with scrolling for most kids won’t scroll down to see what is there below. They would stick to what they can see on the screen. Make sure that all the important things can be seen at first look. 12. Use music and sounds. In creating websites, we have advised you to avoid using sounds and music but it is different when creating a website for kids. You can use the mouse hover effect and put a sound when the cursor touches a button. You may also use music while they are playing some games. Have some sounds for the games, too. Since websites for kids are quite heavy due to los of images, games, animations, and others, you need to create an interesting pre-loader. This will make them stay on the page and wait for it to load. Remember that kids are impatient and they do not want to wait for long. So, you have to look for a way to let them stay with you. 14. Include a parent’s section. You need to have this because the mere fact that you are creating a website for kids would mean that a parent’s guidance is always necessary. Parents should be hands on in supervising their kids to use the internet. In this section, you can include some tips for parents on how they can help to make the items in the website more effective. 15. Allow them to customize. Develop the children’s creativity by giving them the chance to create their own characters, houses, and others. They would enjoy it if they see what they desire to have. They always enjoy it every time they get what they want. You can also have games that can upgrade to different levels as it goes through. This will make them enjoy more for they are rewarded for what they do. Designing websites for kids is indeed challenging for one need to really deeply consider the attitude and interest of the children in order to ensure and retain traffic. But you will also feel satisfied after seeing your output which can give joy to the kids. It would also be an effective tool for parents. 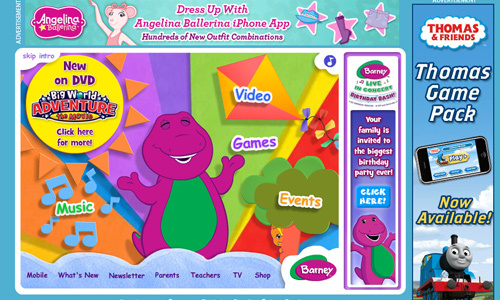 We hope that the tips we have given you will help you design fun websites for kids. But there could be some things that we failed to include. So, feel free to write them down in the comment section below. Also, let us know what you think about this article. love these of all beautiful website designs. I say bravo for this post!